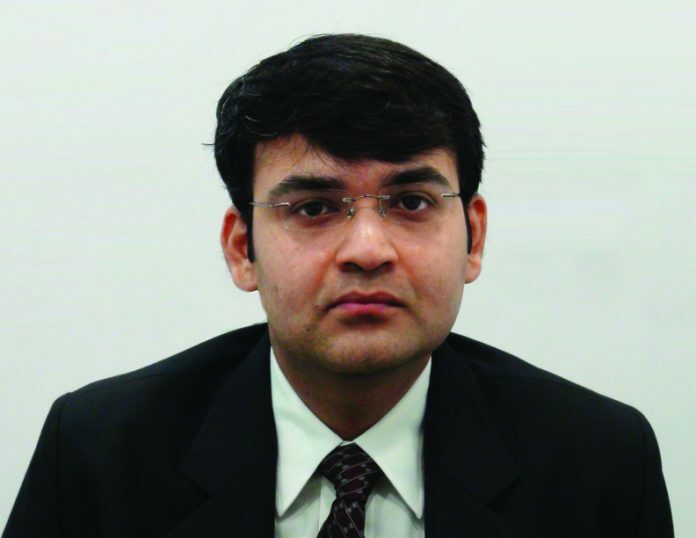 CRISIL Research expects that safeguard duty implementation would create 20-25 GW market for domestic module makers over FY’20-FY’23, based on current domestic module makers following through on expansion plans already announced and foreign module players expanding in the Indian market, informs Rahul Prithiani – Director, CRISIL Research in an interaction with Electrical India. India imposed 25 per cent safeguard duty on solar cells imports. What kind of potential will it generate for domestic solar cells manufacturing segment? Typically, domestic modules are 8-10 per cent higher in terms of cost (pre-duty). However, the implementation of the duty at 25 per cent is aimed at not only eliminating this cost gap but making domestic modules more cost-competitive. Having said that, module prices continue to fall in light of lower capacity additions in the world’s largest solar market, China, which would have a bearing on this gap going forward. In the current scenario, CRISIL Research expects that safeguard duty implementation would create 20-25 GW market for domestic module makers over FY’20-FY’23, based on current domestic module makers following through on expansion plans already announced and foreign module players expanding in the Indian market and setting up manufacturing units here, which would add to the domestic production. What kind of challenges will it create for the solar sector? According to you, what are the solutions to overcome these hurdles? Modules form 55-60 per cent of the capital cost of a solar project. India has imported 80-85 per cent of modules from China and Malaysia till date. The safeguard duty would raise capital costs by 15-20 per cent leading to an impact on bid tariffs. CRISIL Research expects bid tariffs to go up by 35-40 paise per unit from the current range of Rs. 2.5-2.8 per unit to Rs 2.9-3.2 per unit, based on the current module prices. How will this move of the government impact the country’s solar sector? For already bid-out projects, there is current uncertainty regarding the pass-through mechanism of the change in law clause incorporated into the bidding guidelines or tender documents. The developers have to approach the respective electricity regulatory commissions either state or central for approving a pass-through of the increased costs i.e. they have to get the consequent higher tariffs due to a cost increase approved by the relevant authorities. The procedure and timeframe for the same is yet to be clarified. For subsequent projects, developers would factor in the risk of increasing capital costs due to the duty in bid tariffs causing a rise in the same. As a consequence, cost competitiveness of solar power may decrease viz not only conventional sources but also other renewable energy sources such as wind. In both cases, ability of distribution utilities to absorb higher tariffs is key as they have seen record lows for solar in the past. The government has ambitious plans of generation of 100 GW of installed solar energy by 2022. Will the country achieve this target with the imposition of safeguard duty on solar cells? Please elaborate. We believe capacity additions would be impacted in the near-term as the sector copes with procedural challenges as well as module supply issues. However, over the long-term, with positive regulatory focus, increase in domestic supply of modules, active private sector participation and the gradual phasing out of the duty, additions should continue apace. CRISIL Research expects that the 100 GW solar target is slightly ambitious based on the current challenges being faced by the sector such as grid challenges, land availability, availability of funds etc. which may constrain capacity additions. What are the solutions to remove the ambiguity created due to this imposition of duty? The government should clear the procedure for implementation of the change-in law clause at the earliest to mitigate the impact on already allocated projects and not impact the existing pipeline. In addition, tendering authorities both state and central should understand the impact of a rise in capital costs on end-tariffs and not cancel or compare future bid results to a pre-duty scenario.